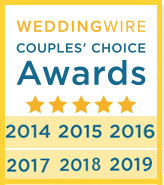 All of the following reviews were originally published and verified by third party review websites and authored by Our Wedding Officiant NYC's brides and grooms. I recommend this officiant, totally. Peter did excellent, top-notch professional work. He was in communication all the way -- We didn't have to worry or wonder about how this day would go. We had certainty all along the way. As we were from out of town, it was very helpful that he communicated quickly and responsively, and saved us from making mistakes in getting our license and timing, etc. He appreciated the vows we chose and performed the ceremony extremely well -- this was exactly the kind of great experience we wanted for our special day. We chose to pay a little more for his services and do not regret it at all: You get what you pay for. We were fully and completed satisfied. Peter was an excellent choice to conduct our wedding ceremony. He was very thorough, prompt to respond, and a fabulous speaker. 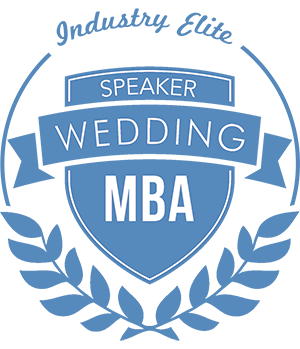 We got many praises on our ceremony and for Peter as well. My mother is still talking about him and this is the fifth wedding she has hosted. It's normal for her to talk about how great a wedding she hosted is but never before has she ever spoken of the officiant so he made quite and impression! She is still complaining that I didn't make programs and put Peter's name in them to give him proper recognition. Peter was an extremely professional officiant for our wedding. He was impeccably dressed, very well spoken, and more importantly, was extremely low-stress. He was understanding of our needs, and was more than willing to adapt to make our day that much more meaningful to us. Peter offered us several great suggestions, which helped lessen our stress. It was great to have the expert work with us to make a truly memorable ceremony. My wife and I were honored to have him be a part of our day. We knew he was the right choice right from the beginning, when we skyped with him and he was very understanding of our desired plan of events. Peter, thank you, thank you, thank you!!! 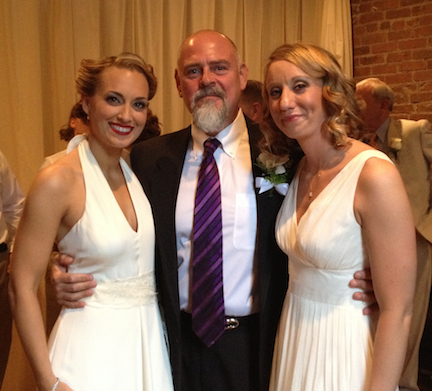 We really enjoyed having Peter as our wedding officiant. Peter did a spectacular job at our wedding. We are extremely pleased with the service we received! Peter was amazing throughout the entire process of our wedding ceremony. He was attentive, helpful, professional and a great speaker. We had a beautiful ceremony and he made our day better than we could have imagined. Thank you so much! Peter was a great officiant. He was very responsive to email inquiries and provided great ideas for the wording of the ceremony. He was very receptive to the minor changes we had and he had great ideas about a location for the ceremony, which turned out to be the most perfect spot. He was very professional while being personable during the ceremony. His voice was clear and strong which was great for the impromptu crowd that gathered to watch the ceremony. Peter was very helpful right from the beginning. He was quick with his email replies, and has accommodated our every request. He arrived early on the day of the wedding. He was well-spoken. His friendly and easy-going nature created a relaxing environment for us to exchange vows. We are both impressed with Peter’s service and highly recommend him. Thanks again Peter for giving us a wonderful experience on our big day. We were pleased with Peter in every way. He provided exactly what we wanted, helped us find the perfect venue, had no cumbersome requirements, wrote a wonderful ceremony and worked with us to finalize it, was timely, and charged a very reasonable fee. Everything about our experience with Peter was first rate. Now that Ali and I are back from our honeymoon, we just wanted to send you a little note to say thanks so much for all of your help prior to the wedding, and of course, the beautiful ceremony you gave us. Firstly, thanks for all of your advice, patience and professionalism in helping us put together an order of service that we both loved, and for helping us to make it so personal. We loved the sand ceremony and thought that the whole structure was just perfect. We've received many lovely comments from guests who've been mentioning how much they enjoyed the ceremony. For us, it was unforgettable. Secondly, thank you for delivering something really special on the day; you have a great energy and truly exceptional delivery - despite the fact that you had to compete against loud NYC traffic. Thirdly, on a personal note, it was just really great hanging out with you before the ceremony - you really calmed my nerves and it was great to have a laugh to ease the tension! 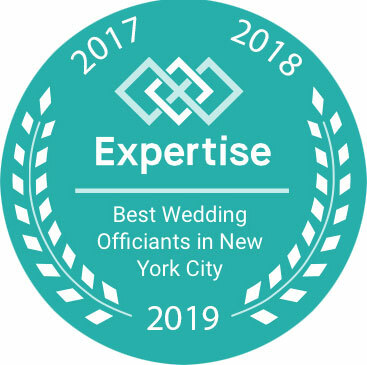 Obviously, we wouldn't hesitate for a second to recommend you to anyone getting married in the New York area, or for any significant life event, in any locale, for that matter. P.S. Obviously, please feel free to use these words in any way that you see fit. Wedding: 08/30/13 - Niki H.
We are truly lucky to find Peter as our officiant! We were so impressed by his professionalism through out the whole wedding process. He was very responsive when we had any questions before and after the wedding. During the wedding, Peter helped put us at ease during the biggest day in our lives. To say the least, we were quite nervous and had second thoughts about saying our own vows to each other during the wedding ceremony. However, with Peter's encouragement, we had the confidence to say our vows to each other. And we are truly happy we did! Thank you so much Peter for making it such a beautiful ceremony. Peter officiated at our wedding recently. Here is the text of an e mail I sent to him - "After our five days in New York and two weeks in South Florida we are now back in the UK. We held our UK wedding reception Sunday just gone. It feels like our wedding has lasted for a month! We placed a copy of our ceremony in our wedding photograph album. All of our guests commented on how beautiful the wows were and how cool you looked. This is just a small note to say a big thank you for officiating at our wedding in Central Park on May 3rd 2013. 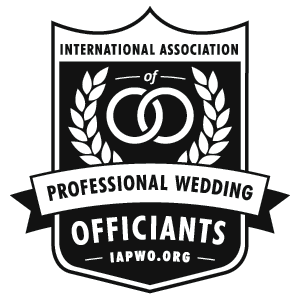 We do not believe we could have chosen a better officiant. You were the perfect blend of fun, emotion, professionalism and charm. We are so happy we chose you. You may remember Pei Chin Faison played four pieces on her violin for us also. She commented that it was the most beautiful occasion. You more than played your part in that. As promised, I have attached a photograph of the me, Julie and your good self. Thank you so much for what you did. Also worthy of note, is that Peter did everything he said he would, exactly when he said he would do it, which when you are arranging a wedding is essential. You may think this is a small thing, but it is rare in the modern world. Finally, his voice is simply beautiful. Working with Peter Boruchowitz was a great experience, and we would highly recommend his services. Throughout the planning process of the wedding ceremony he was very supportive, patient and helpful, and worked closely to us in order to ensure that the ceremony fulfilled all our expectations. Peter's services are characterized not only by very high professional standards, but also by equally high human qualities that make working with him a pleasure. He was always kind and attentive to our needs, and demonstrated a genuine interest in getting to know the bride and groom in order to make the ceremony as personal and customized as possible. Our entire family enjoyed the wedding ceremony, and all our guests were very impressed by the way in which he conducted the ceremony -pointing out Peter's nice and clear tone of voice, the beautiful messages that he shared during the ceremony, and the fact that his words were really heart felt. We look forward to working with Peter again, in future anniversaries and celebrations. Peter was outstanding, helped us out with everything and understands what we want. The wedding ceremony went smoothly and we loved Peter. thanks! Peter was a fantastic officiant. We really enjoyed the entire process. His patience and expertise helped us write vows that were perfectly suited to us as a couple. He performed an unforgettable ceremony, and his delivery was perfect. Our friends and family raved about the ceremony, and we owe that all to Peter. We cannot say enough positive things about Peter and the ceremony he performed for us at our wedding! To begin, Peter met with us to discuss the kind of ceremony we wanted and he had already looked at our website that we had sent to him. He wanted to really get a feel for us as a couple, how we met, and what we wanted for our wedding. After talking with him for awhile, there was no need to 'think it over,' even though he urged us to do so. We hired him on the spot! I should mention that neither my husband or I are very impulsive people, but Peter was just so warm and understood our vision immediately that it was a no-brainer. Peter loved the story of how we almost didn't make it to a first date and he thought it would be great to incorporate into the ceremony. We also talked to him about the debate my husband and I have over the story of the Giving Tree. He actually added both into the ceremony and he crafted a beautiful ring warming ceremony (which we really wanted included). He completely built everything around us as a couple and incorporated our guests into the ceremony (which is what we wanted most). He was wide open to any suggestions or changes we wanted and it took very few back and forth emails before the ceremony was perfect (it was pretty close to perfect already when he sent us the first draft). I should also mention that Peter met us at our venue (Spice Market Restaurant) just to get a feel for the place and help us think through the logistics for the day. He didn't have to do that, but he actually offered and stayed a long time with us figuring things out. The day of the wedding, he was on time, looked great, and we didn't worry about anything in Peter's hands. The ceremony was beautiful, expressed by Peter in a very warm, strong voice, and guests LOVED him!!! I cannot recommend Peter highly enough. He's fantastic and you can tell that he loves what he does!!!! Guests came up to us throughout the day to mention how awesome he was! We got married in brooklyn, NY not too long ago. Peter was amazing, he put together a beautiful ceremony. Calm, cool and collected, peter was very professional. I stand behind my full recomendation for his services. Friends and family were very impressed by the quality and delivery of ceremony. Thanks a million ! !